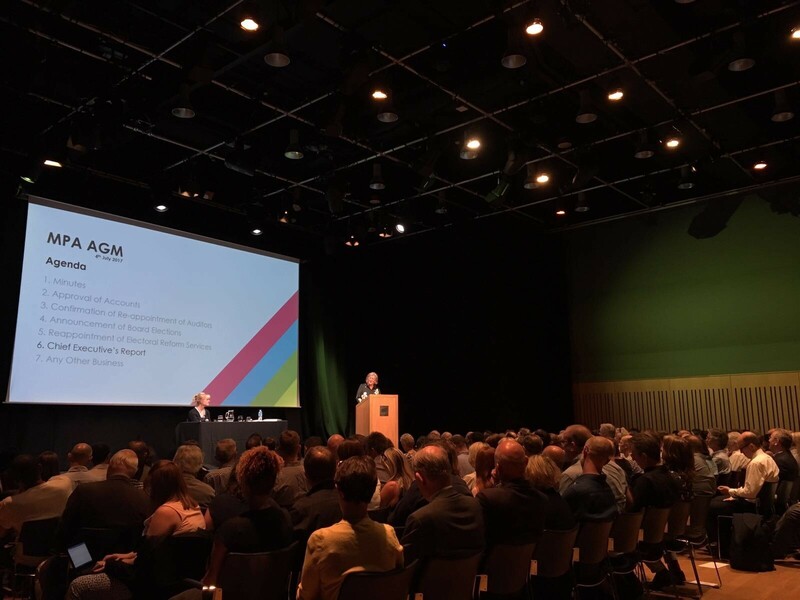 This summer the MPA hosted it’s Annual General Meeting in Hall Two at Kings Place in Kings Cross. The event was attended by 200 of the MPA membership and special guests. The event featured formal business presented by Jane Dyball, CEO, MPA Group and Jackie Alway, Chair, MPA. This was then directly proceeded by a panel titled, ‘A Brave New World (For Music Publishers)’, moderated by Tim Ingham (Founder, Music Business Worldwide) and featured guest speakers; Dino Burbidge (Director, Innovation and Technology, WCRS), Sir Donald Cruickshank (Chair, 7 Digital) and Benedict Evans (Partner, Andreessen Horowitz). Each panellist took to the stage to give the audience their view of the future of the music and publishing industries spanning up to the next 100 years and then debated each others concepts and ideas, which made for a scary and thrilling view of the years yet to come! The day then rounded off with a fun, insightful and riveting interview with Naughty Boy, Songwriter, Publisher, A&R and Producer, who was interviewed by Jasmine Dotiwala, Broadcaster at Channel 4.